A fish stage that is! Been having ideas for things lately, but thats another topic and another site… 🙂 But it led me to remembering the old fish stages back home when I was growing up. Dad never worked as a fisherman, and we never had a stage of our own, but like everyone we went fishing and used others, or at least was in them lots. I remember most especially Uncle Lionel Kelly’s stage, with all the wooden barrels and tubs, not the more plastic of today, though of course times change! 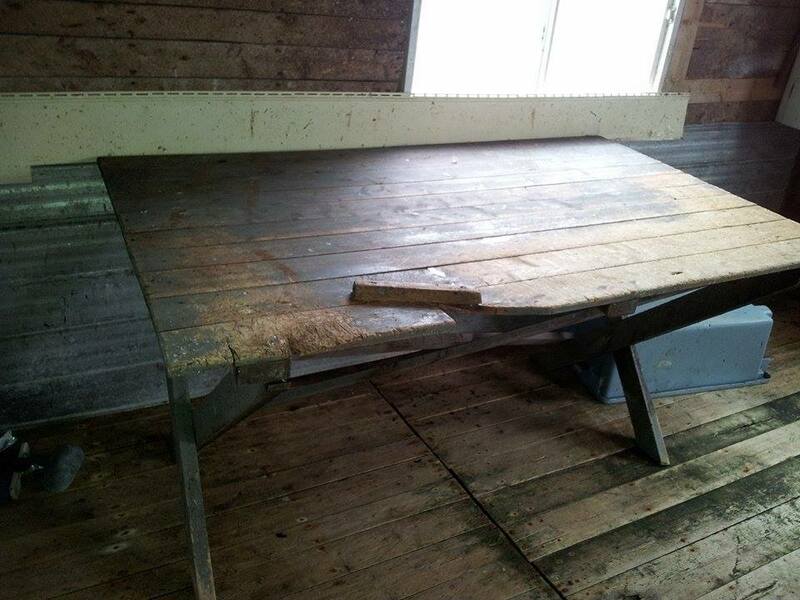 The old splitting table, with the little piece of wood nailed to it to hold the fish against when cleaning (does that have a name?). Using an old double mitt to hold the fish so it wouldn’t slip around. The old splitting knife, give a quick flick and the fish quickly slid into a tub. Gaffs and hand nets hung on the wall, floats and buoys and grapnels everywhere. 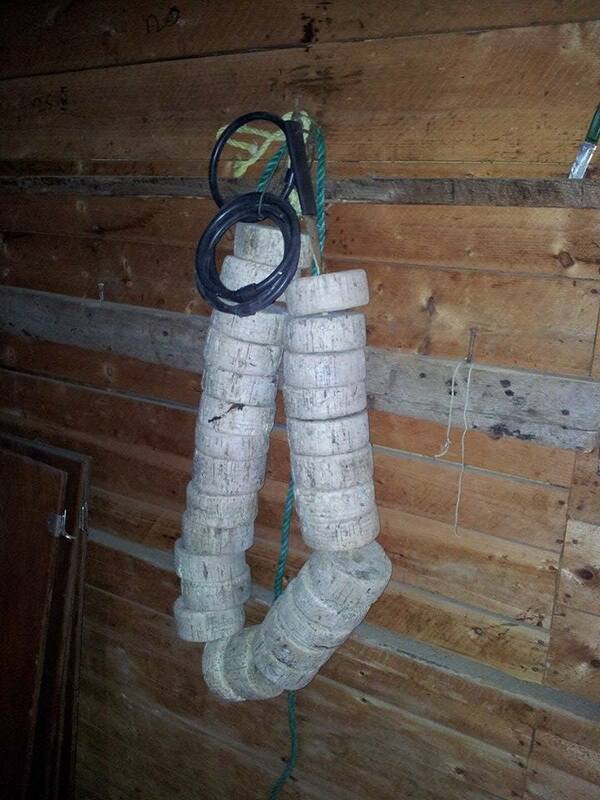 A twine loft with nets, the old …. um the name escapes me…. thingy with a bobbin of twine that he could quickly slide in and out to mend tears in the nets. 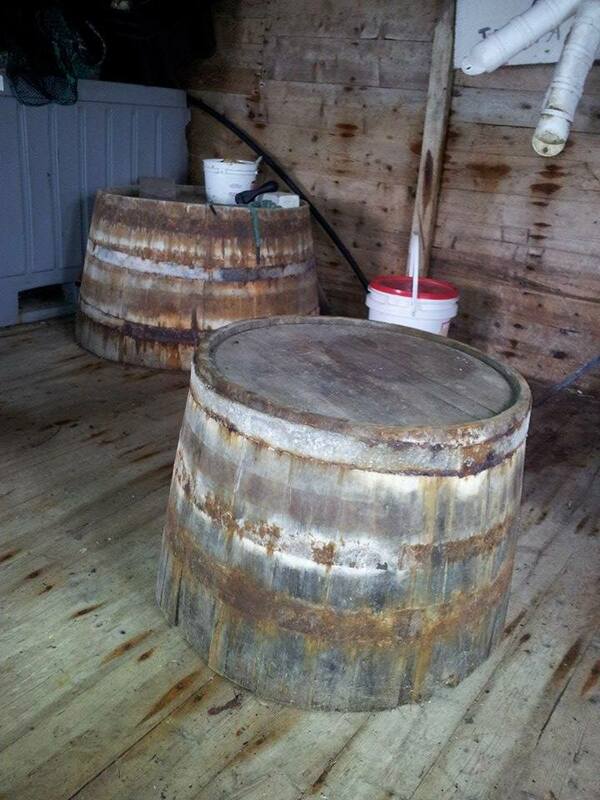 One tub was full of cod livers making cod liver oil, an old punt or dory outside with a sculling oar. God that man could scull a boat! 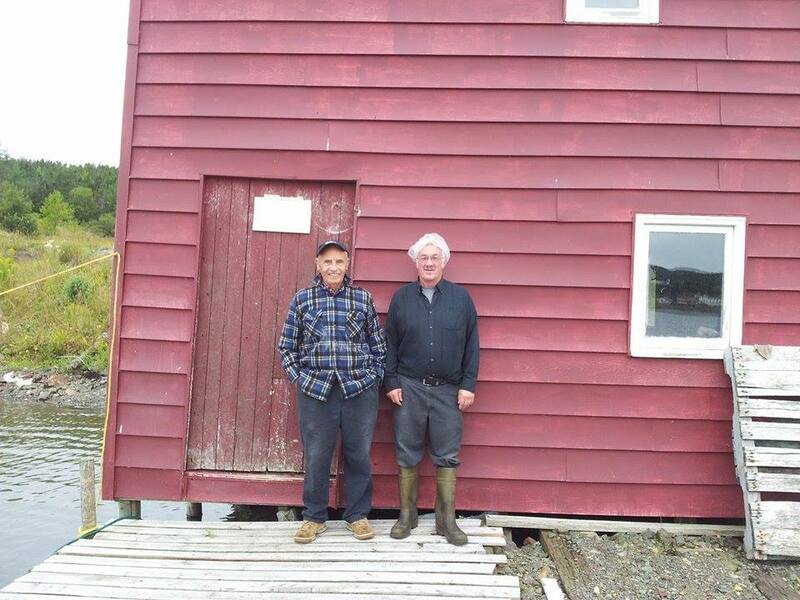 Outside on the bank, flakes to dry the fish and caplin racks to dry the caplin. I don’t remember his stage having one, but many also had a smoker, used to smoke herring into kippers and smoke caplin into… well smoked caplin! I’m not sure if they smoked other fish as well, maybe mackerel? Of course us small boys were out on the wharf head a lot, catching tansys and conners and flatfish, and beating the occasional scuplin off rather than touch it! The pictures here are of Raymond Blundell (in the hat) and Cecil Trowbridge, taken by my buddy Eric. The stage and gear is Raymond’s Appreciate all their help, love the memories it stirs!